We would like to inform you that we have added FedEx to our courier partners this month, and are very happy to add this means a significant reduction in courier costs for those of you in Northern and Western India. We’d like to thank both BBC Good Food Magazine, and the Progressive Grocer for their features of Earth Loaf last month. Both publications have given us a great boost of support and sent waves of excitement around our community in Mysore and abroad. Quite a bit of action this Month! We’re now pleased to announce we are accepting credit and debit cards throughout India via payU money secure payments. For a limited time they are actually discounting our prices. This week also saw a 3 page spread on Earth Loaf in the June edition of BBC India’s good food magazine, we are super grateful to Green Sathva and BBC Good Food for helping to put this together. Wishing everyone a great month of June, and a happy full moon in Sagittarius. 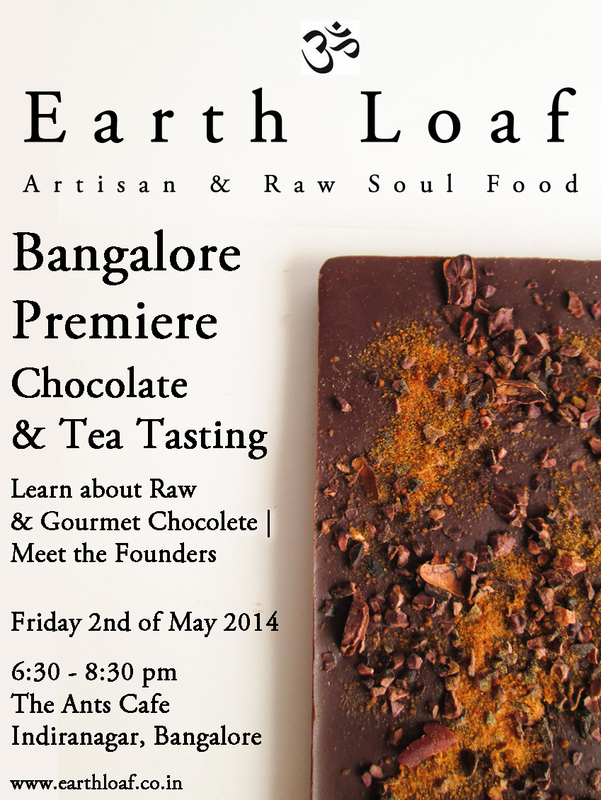 We had a great evening at the Ants Cafe in Indiranagar, Bangalore last Friday 2nd of May. We’re planning more tasting events in the coming weeks, including a spirits and chocolate tasting with Diageo Reserve Brands and another chocolate and tea tasting at the Ants Cafe once again. We’ll have more info once dates are set.